This article is based on an interview from the Nice Guys on Business podcast. For a self-described “very sort of introverted, borderline shy person,” Matt Wolfe has managed to make an enviable career using his voice, and helping others find theirs. He and business partner/co-host Joe Fier have been working full time in the world of online business since 2009, offering courses and blog posts to other entrepreneurs looking to learn more effective ways to use the internet to grow their projects and their profits. The first podcast the pair started back in 2010 fell victim to “podfade,” as did several follow-ups; but nine years on, their current podcast Hustle & Flowchart has more than 100 episodes — and it’s making ”seven figures a year.” The pair joined Doug on the podcast to explain how hustle plus organization can equal real income. That large revenue number isn’t the result of magic — just a practical understanding of online tools that can help turn listeners into customers. According to Matt, “75 to 80 percent of our income is actually from promoting products as affiliates.” Phase one of this, he says, is putting a link to a product in the show notes (here’s an example) after mentioning it in the show, either in the form of a legitimate recommendation, or in an interview with the product’s creator. Matt and Joe then make money for every customer who clicks that link and buys a product. Affiliate links on an episode page are not enough: “most people don’t buy a product on the first touch,” Matt explains. One tool the pair uses are retargeting pixels, which can be added to a basic WordPress site. These ‘follow’ the customer from that episode page with the affiliate link to their personal Facebook page, or to Google, where Matt and Joe will pay for an ad for that affiliate product, keeping it fresh in the potential customer’s mind. Customer clicks and buys: Matt and Joe make money. “Once somebody enters our ecosystem — that means they watched one of our videos on YouTube, they listened to a podcast, they came across one of our posts on Facebook — once they enter that ecosystem, they are now on our retargeting pixels, and it usually takes between five and seven days to make that first sale,” Matt says. Yes, the old saying applies here too. Regardless of the kind of content you’re offering, “you need to have some money to reinvest into your content development and marketing,” Joe advises. But it’s less than you think: those affiliate ads on Facebook or Google cost a dollar a day, so about $30 a month, in which time Matt estimates they get about 100 to 120 clicks. As long as you’re making just one sale of $40 or $50 within that month, you’re making a profit on your ad spend. “It’s really profit margins,” Joe says. 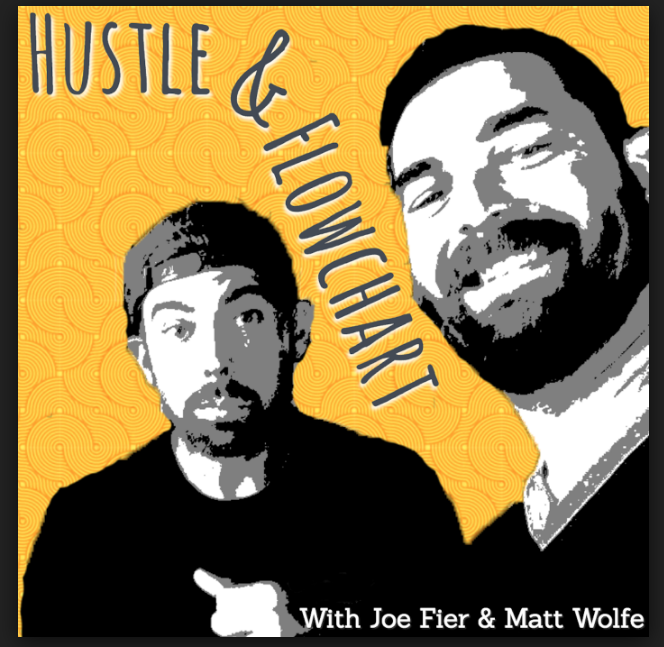 This selectiveness helps Hustle & Flowchart punch above their weight — the podcast isn’t hitting millions of downloads a month. “We’re in the maybe 30,000 downloads a month range right now, so we’re not a massive podcast,” Matt acknowledges. But their committed fan base of listeners trust their recommendations. This commitment to honesty and quality recommendations, alongwith their carefully honed understanding of the online tools, is a winning combination — helping Matt and Joe make more money than many top-ranking podcasts. As happy as they are about the success of the show, Matt and Joe are keen to emphasize that it didn’t go from zero to seven figures overnight. 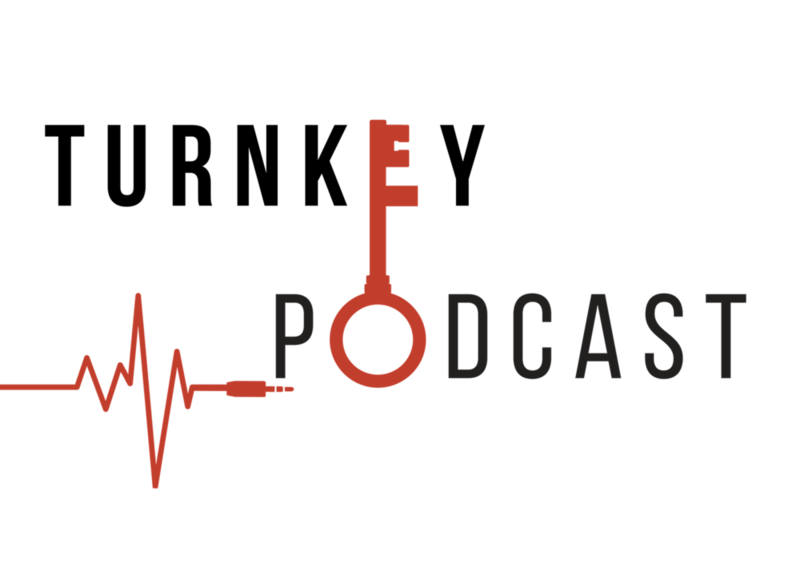 Those earlier online businesses and podcasts set them up with an audience before they started this latest venture. Bottom line here: make something listeners value, learn the tools to turn some of that loyalty into income — then keep doing it.